There are conflicting accounts about the guys who created Nick’s Nightmare that I’ll attempt to clarify. It was originally developed in a Southern Oregon College dorm room by Chris Stewart and Nick Marshall. They christened it at “Ennis Riffle,” a famous fishing hole on the Rogue River where Harry Van Luven, Zane Grey and other famous people fished successfully for many years. Maybe these early pioneers sprinkled some of their luck upon them, because they had fantastic success with Nick's Nightmare. 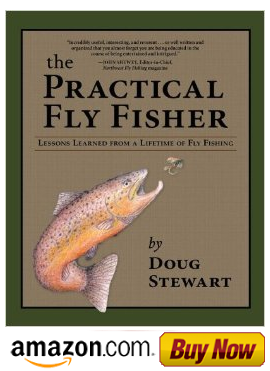 Eventually this pattern found its way into my fly shop and I began to promote it. As interest grew, so did the curious questions about the name. Was it conjured up in a strange reverie, a session with the spirits or a simple flight of fancy? Whatever the reason, it soon became a very successful pattern on the Deschutes River and other streams in the Pacific Northwest. Tie in the flat gold tinsel first and wrap forward 2/3 the length of the hook shank. Attach the chenille and make a ball on the front 1/3 and tie off. Now attach the saddle hackle, spin it forward and tie off. Finally, pull the hackle back to a 45-degree angle and tie in a sparse calftail wing with a Krystal Flash overwing. Finish the head. 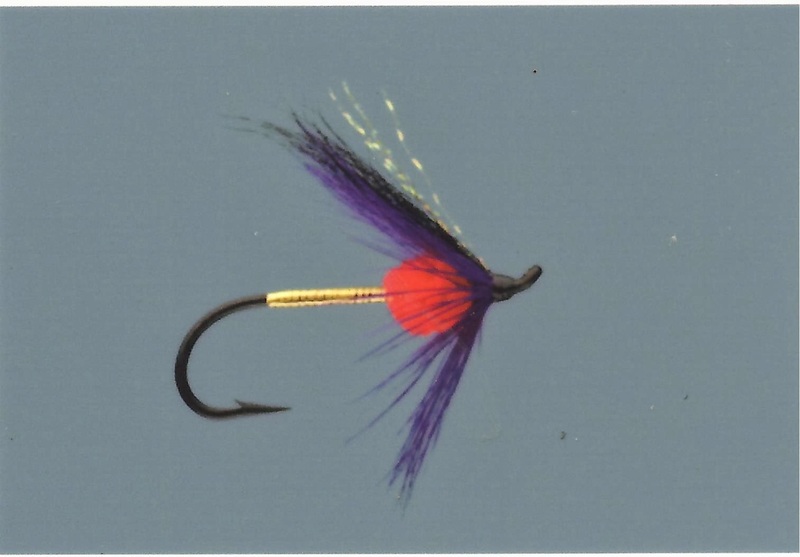 NOTE: I think that overdressing a fly with too much flashy material detracts from the traditional concept of tying flies and is not a necessity to attract fish. However, a little flash can compliment the pattern and make it more effective. Nick’s Nightmare is a good example.